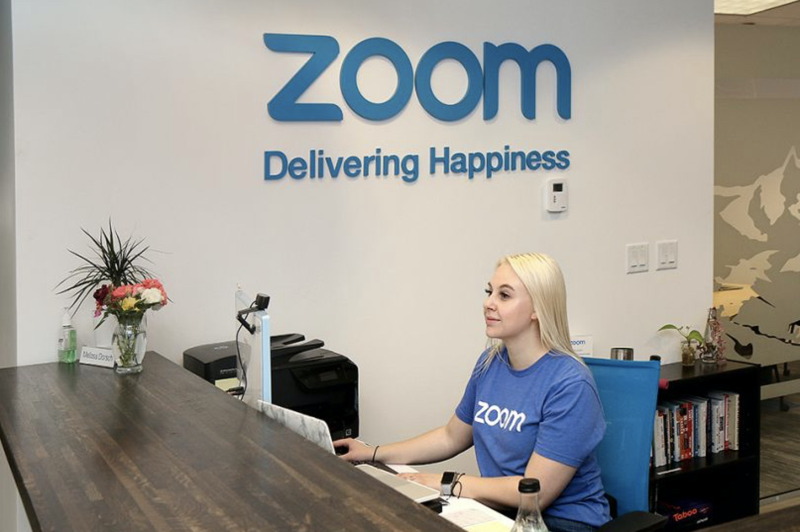 Delivering happiness is the core driver of enhancing our products – we aim to make our customers happy and never frustrated with our technology, as well as make Zoom affordable for everyone. That’s why we innovate over 200 features a year and keep a 20% buffer in each release for their requests. Delivering happiness to our partners by always supporting each other and working hard on our shared services. Check out our App Marketplace and newest partnership announcements from Enterprise Connect and HP Reinvent to see the fruits of this labor. Delivering happiness to our community by volunteering, providing charitable contributions, and offering discounted pricing to educational institutions and non-profits. Delivering happiness to our employees through fun events, surprise treats, book club, mentor program, and more – we have a Happy Crew comprised of 150 employees that volunteer to manage the happiness movement across our offices worldwide. March 20 is the International Day of Happiness and this year’s theme is Happier Together, focusing on what we have in common, rather than what divides us. On Zoom, you can get together quickly with people around the world in a frictionless environment that will make you happy. We hope you stay happy today and every day, and Zoom will play its part to contribute. If you are ready to Meet Happy, sign up for a free 1-on-1 demo with a Zoom specialist today!